This past weekend I planned a really sweet event for an even sweeter friend. My good friend's baby girl was baptized so we celebrated with Mimosas and Meat Straws. You'll have to read on to figure out what the bleep I'm talking about! My friend wanted to use mint green and peach for the party colors. I had to add in a little pink too :) We had beautiful flowers that were used in her moms silver. 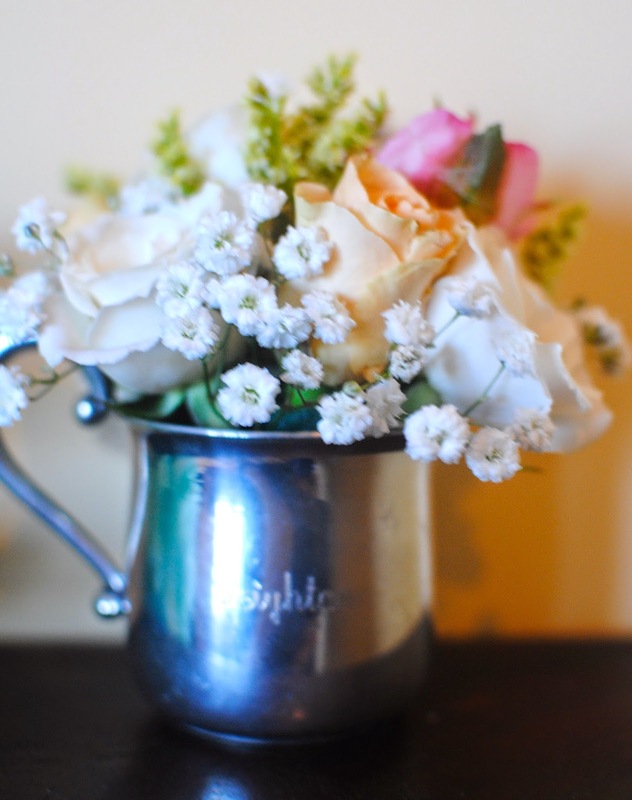 We used silver ice buckets, bowls and even their family's silver baby cups! Do you see the small doll person in the background below? We'll get to that at the end of this post. The bar was fantastic if I do say so myself. It was a brunch so we had to have brunch drinks. We used mint green tablecloths and had wine, beer and both a Bloody Mary Bar and Mimosa Bar. This was some party for a baby am I right?? And the location didn't hurt...wouldn't you want to have a cocktail or two on this veranda? The Bloody Mary Bar had a plethora of edible accoutrement. There were olives, pickles, horseradish, tobasco, pickled okra, hot sauce and of course, meat straws. That's right - MEAT STRAWS. STRAWS MADE OF MEAT. You can thank Benny from Benny's Meat Straws for these delightful tubes of meat. You can add a meaty flavor to your bloody by using the meat straw and then get a little protein by eating it. It's basically life changing and all the guests had an absolute ball with it. 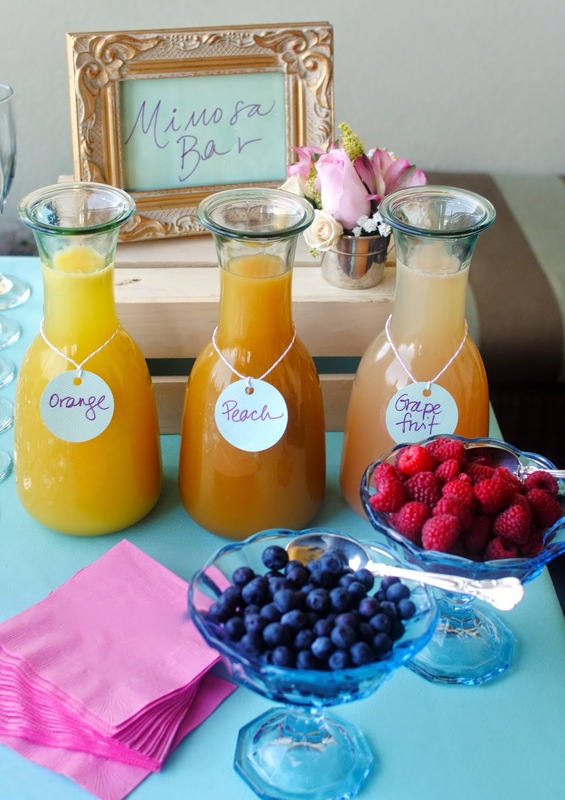 A Mimosa Bar is admittedly nothing new but is always a hit. We used Prosecco instead of Champagne and I dressed it up with fruit garnishes and juices. Orange, Peach and Grapefruit were my juices of choice - have you ever had a grapefruit "mimosa"? It kicks orange juices arse in my humble opinion. Also can we just talk about how my handwriting doesn't look atrocious here? Whoop! We had fun straws on the bar too. 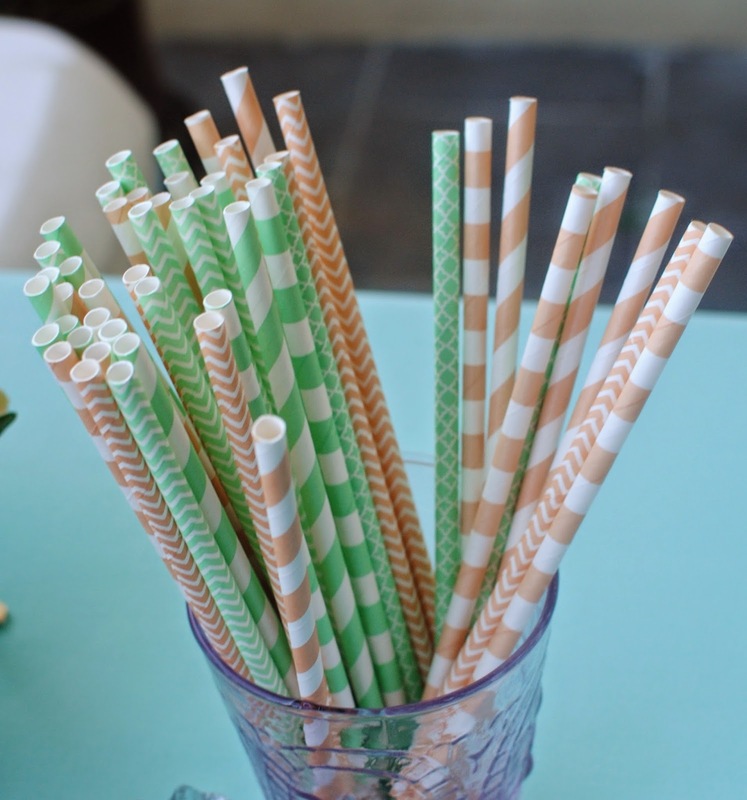 These peach and mint striped straws came from the Etsy shop Twigs and Twirls. You know we had to have some Sam Adams represent in the beer section. That beer pays the bills yo. 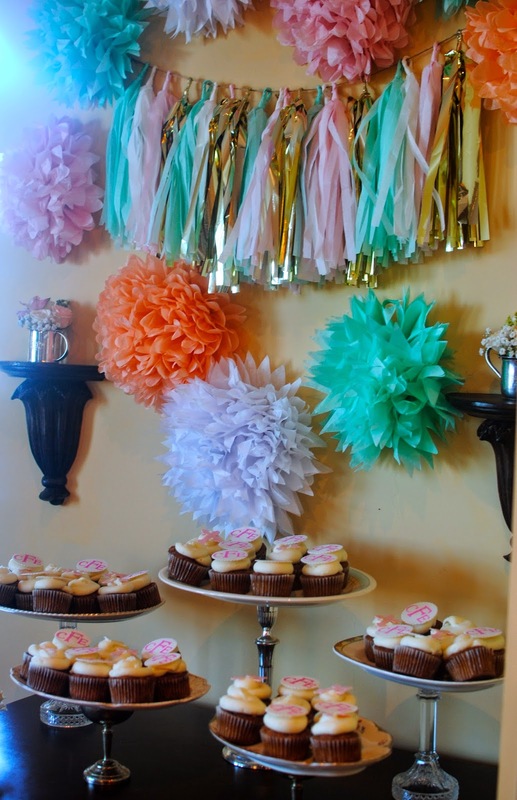 As much as I loved the bar set up I probably loved the cupcake wall backdrop even more. I didn't intend for it turn out this way, in fact I just bought all these tissue poufs and tassels and wasn't exactly sure what I'd do with them. But I love how it turned out...and I still love tissue poufs even though they are a million years old. Plus now you can buy them pre-cut so all you have to do is fluff them out yourself. The lazy girls pouf, if you will. I got the tassels from Etsy Shop Snooty Blooms (love the name....) and the tissue poufs were from another Etsy Shop with a great name - Prost to the Host. The cupcakes (from 13 Tiers) were decorated with a combo of crosses, monogrammed and plain frosting. They turned out great! The cupcakes were on vintage china glued onto candlesticks. These DIY cake stands were made by my friends mom for her wedding and we reused for this party - so sweet! 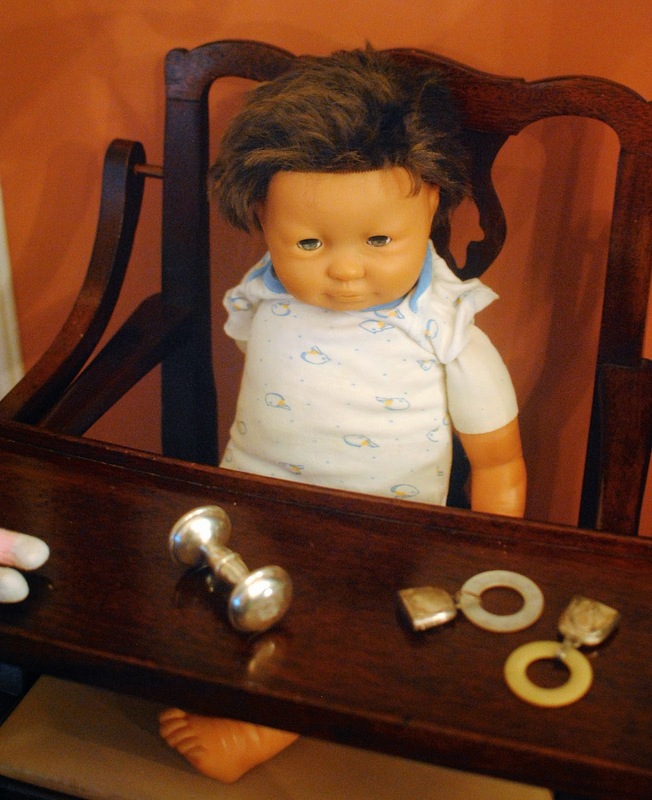 Finally, the secret guest of honor was my friends childhood doll Adam. Adam has been slightly creeping out our group of friends since high school. After a recent trip to the doll hospital (yes, there is such a thing as a doll hospital) he felt well enough to make an appearance at the par-tay. Seriously, for those of you that don't get this I apologize, but I promise you..the whole Adam thing is a reaaal hoot. What a beautiful party! 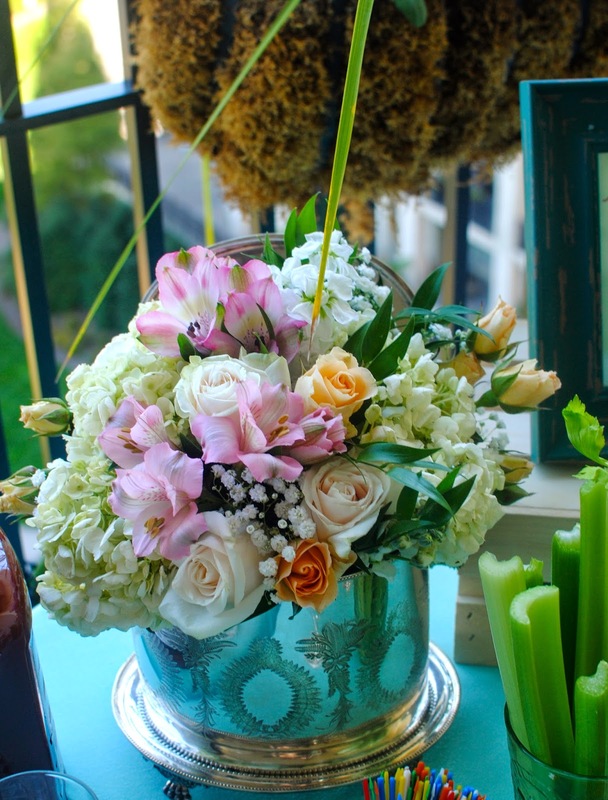 I love all the soft colors, mercury glass vases for the flowers and meat straws!!! 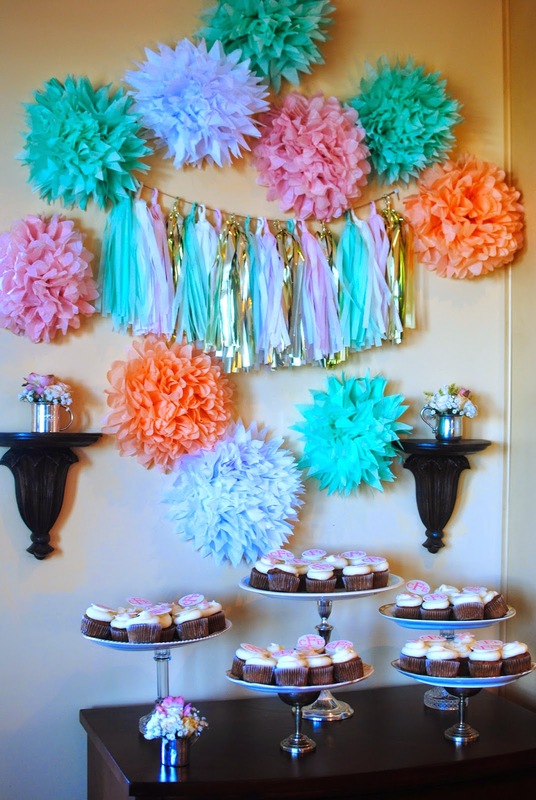 Such a cute color combination for a baptism! Don't you love it when you get to create something on the fly? 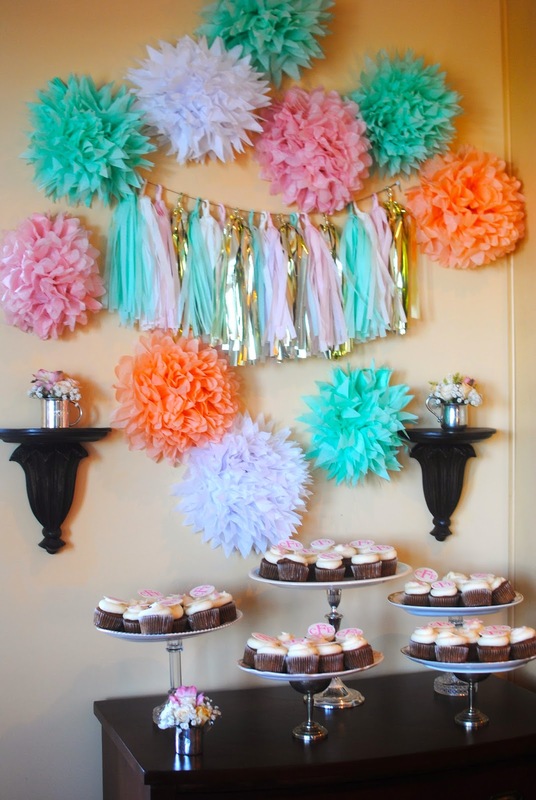 That cupcake backdrop is so much fun! 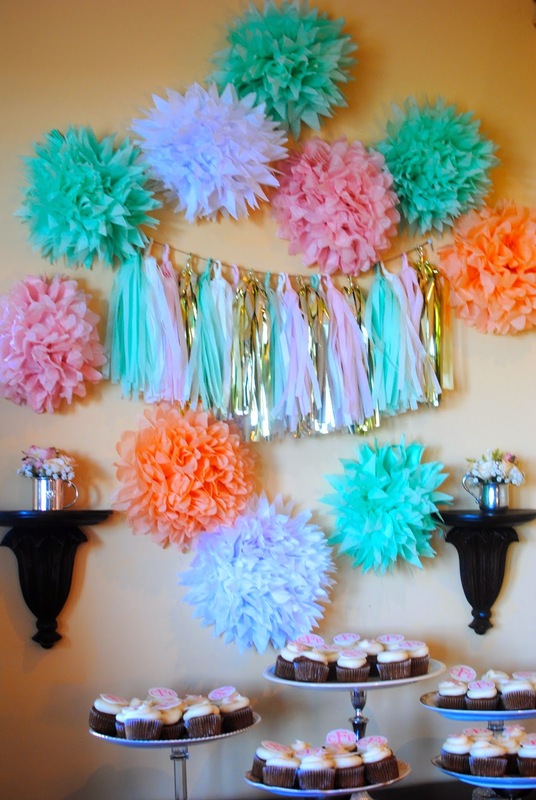 Colors you chose for the party are really nice and I am really happy that your party went out really well. I am planning a party at New York event venues for my daughter’s birthday and want some planning ideas for that. Can you please help me? After seeing the whole post is like the celebration of the christmas which is amazing and lovely. I would like to say thanks for this sound good approach. I need some help with coursework but very happy to get the love beautiful pictures. Thanks for this collection. Hi! Check out this website. top essay writing services I've been looking for somebody proficient to help me and I found it only at this service. They're so great! The great thing about Essays Tigers writing services is that our writers have full access to the best resource archives and libraries. Anytime a customer sends in a write my essay for me UK request; our writers immediately get down to conducting research and in-depth topic-related investigation. The most exclusive and relevant resources are consulted to extract appropriate and supplemental evidence. If you want a well-researched essay written for your course, contact our team of writers today!